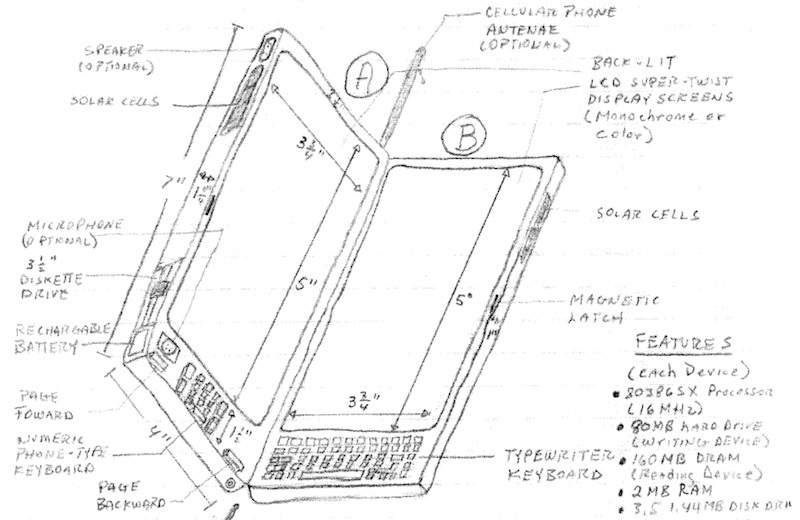 Florida resident Thomas S. Ross has filed a lawsuit against Apple this week, claiming that the iPhone, iPad, and iPod infringe upon his 1992 invention of a hand-drawn "Electronic Reading Device" (ERD). 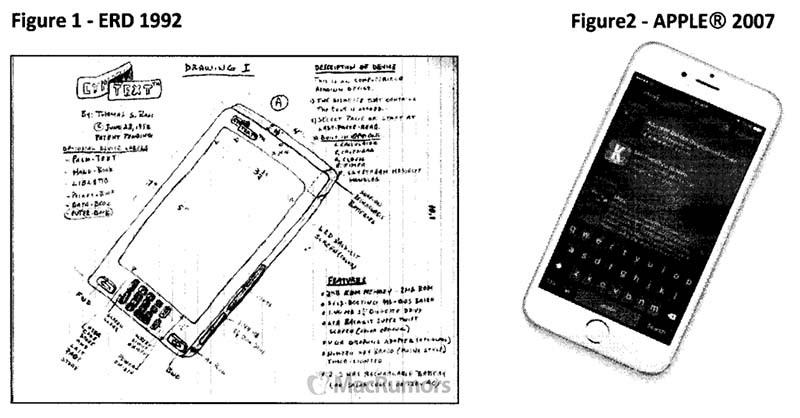 The court filing claims the plaintiff was "first to file a device so designed and aggregated," nearly 15 years before the first iPhone. Between May 23, 1992 and September 10, 1992, Ross designed three hand-drawn technical drawings of the device, primarily consisting of flat rectangular panels with rounded corners that "embodied a fusion of design and function in a way that never existed prior to 1992." Ross applied for a utility patent to protect his invention in November 1992, but the application was declared abandoned in April 1995 by the U.S. Patent and Trademark Office after he failed to pay the required application fees. He also filed to copyright his technical drawings with the U.S. Copyright Office in 2014. While the plaintiff claims that he continues to experience "great and irreparable injury that cannot fully be compensated or measured in money," he has demanded a jury trial and is seeking restitution no less than $10 billion and a royalty of up to 1.5% on Apple's worldwide sales of infringing devices. Ross v. Apple, Inc. was filed with the Florida Southern District Court on June 27. The case number is 0:2016cv61471. The mother of all "Florida Man" stories. And Florida Man promises he never, ever watched "Star Trek" or "2001: A Space Odyssey" prior to drawing his contraption. Looks more like a Palm Treo. Only Suing apple? Why not Android manufacturers as well? Lol. Dude, not even close. Damn Florida Man at it again! In order news, Google is being sued by Herbie the self-driving car. "An early device in the PDA category – the Newton originated the term "personal digital assistant" – it was the first to feature handwriting recognition. Apple started developing the platform in 1987 and shipped the first devices in 1993, production officially ended on February 27, 1998." ... I'm digging through all my third grade "future computer" drawings that my Mom kept !! For a second I thought I was reading an article at the onion.